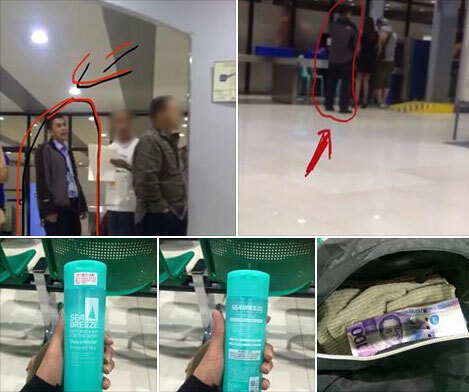 A passenger has accused a staff of the Ninoy Aquino International Airport (NAIA) Terminal 4 Departure Area of extortion over a sunblock lotion. クリスティ アップル (Apple Desu), whose social profile shows that she's a talent agent of Vogue magazine, narrated her story on Facebook on Wednesday, June 17, the same day the incident happened. According to her, at past 8 a.m., the airport staff allegedly asked for money after a bottle of sunblock lotion was detected in her luggage, which sounded off the alarm of the screening equipment. She said the NAIA employee also allegedly barred her from bringing the feminine wash he found inside her bag upon inspection. Apple, who was with a Japanese guest at the time, was allegedly told by the suspect to insert money so that she will not be prohibited from carrying the said items intended for personal care and hygiene. 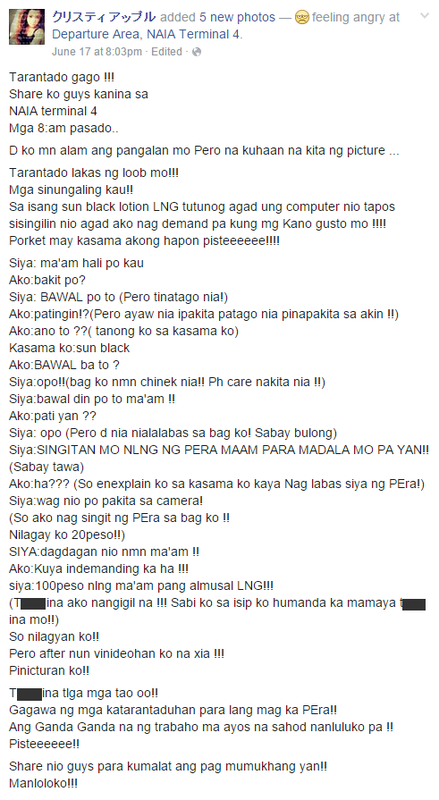 When she offered P20, the NAIA employee allegedly demanded that she make it P100 for his breakfast and told her to hide the money from the CCTV camera's vantage point. 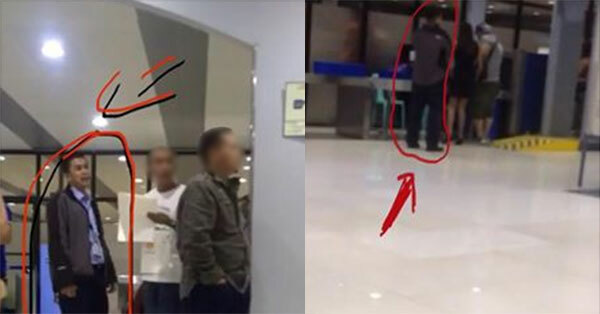 The angry passenger gave in to the demand, but pulled her smartphone and snapped pictures of the airport staff involved in the alleged extortion before leaving. NAIA management has yet to issue a statement regarding the incident.